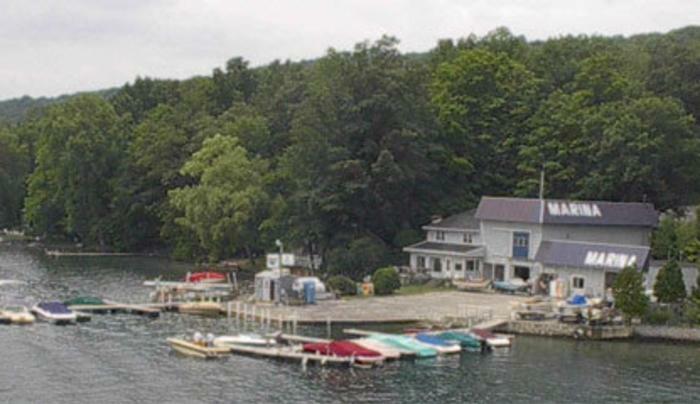 East Bluff Harbor is a full service marina that has been operating on Keuka Lake for over 40 years. We are located on the “Bluff” just outside the town of Penn Yan. We have so much to offer: We can perform service work and/or warranty work on your Mercruiser, Volvo Penta, and OMC engines. Don’t let a broken boat ruin your summer or vacation. Need a place to keep your boat or trailer? We have winter and summer storage. How about a day on the water or something to make your vacation a little brighter? East Bluff Harbor has a wide range of rental boats to get you out on the lake. We also sell gas, accessories, water toys, drinks and snacks. Got a few holes in that boat cover? Missing snaps? Our on-location canvas shop can repair or replace your boat covers. Located in the heart of the Finger Lakes in New York, Keuka Lake is 23 miles of clean, clear water waiting to welcome you! Keuka Lake is nestled in the hills of wine country. Great fishing, Great food and Great boating are in abundance right at our front door. Take a leisurely stroll through our web site to see what we have to offer. East Bluff Harbor can help make your experience on Keuka Lake an unforgettable one.